Mountain of Fire and Miracles (MFM FC) have secured their first point on the road. 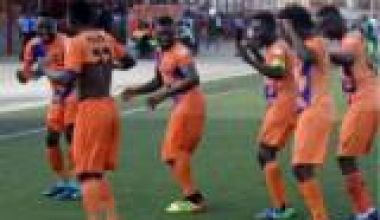 They did it in style beating Remo Stars 1-0 in Nigeria Professional Football League on Wednesday. Adeniji Kabir netted the winning goal for MFM FC at Osogbo, where Remo Stars were banished to after crowd trouble at their home ground. Kabir’s goal came in 13th minute and MFM FC held on to record their first away win this season and their fourth overall. 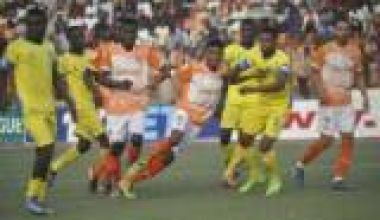 They had previously beaten Kwara United, Enugu Rangers and Wikki Tourists at their Agege Stadium fondly referred to as the Soccer Temple. In other Match Day 7 games, Rivers United were held at home by visiting Kwara United. Rivers United had suffered a first defeat of the season on Sunday against the country’s most successful club, Enyimba International, and they were looking to bounce back in front of their home fans on Wednesday. Kwara United are in the relegation zone and have won just once this season. The Illorin club also drew one of their three fixtures on the road this term (against Insurance in Benin City on January 23). The draw in Port Harcourt is now their second away point as they continue their fight to leave the muddy relegation waters. Elsewhere, FC Ifeanyiubah beat Gombe United 2-0, while Abia Warriors stopped Heartland by the same scores, courtesy of a first-half strike by Samson Obi. Go Round FC were 2-1 winners over visiting Kano Pillars. Kada City also fought back from a goal down to beat El Kanemi Warriors 2-1 with the veteran Kabiru Sanusi grabbing the match winner very late. FC Ifeanyiubah 2-0 Gombe Utd.